A few years ago a friend of mine reviewed my resume. I was pretty confident he wouldn’t find anything noteworthy, but asked him to take a look just the same. "Ehab, it seems you have a typo here." "It says here ‘servant leader’ — surely that’s a typo." I let out a chuckle, which was quickly followed with contemplative silence. I could understand the confusion. It does sound a bit paradoxical, leading and serving at the same time. Almost every Scrum Master class I’ve witnessed mentions it, but very few do it justice. But for me that didn’t cut it. I’ve always maintained that these are all simply essential traits of a good leader. Of the servant variety or otherwise. So what is new here? Adding the notion of servitude? Who exactly are we serving? The team members? As everyone in the tech industry knows, people join and leave teams very rapidly. The team? Even if we hope teams are long-lived, they sooner than later are reorganized to meet the changing needs of the organization. The organization? Unfortunately at the first hint of fiscal trouble many companies face the dreaded task of casting their employees aside. So, exactly who — or what — does the Servant Leader serve? Just as many things in Scrum, the concept seemed simple, but eluded me with its layers of subtle complexity. 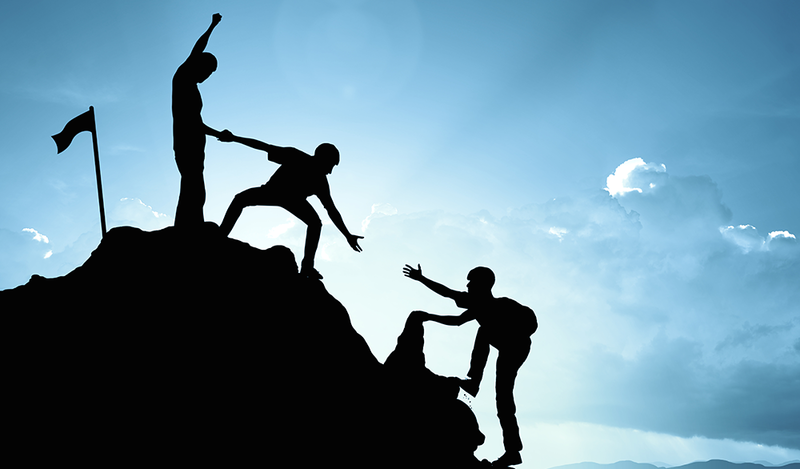 As I read more into lean-thinking, I started to grasp the concept of servant-leadership more. 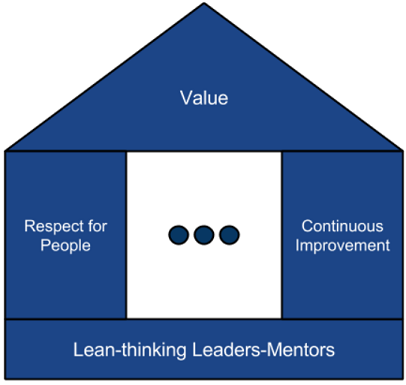 There may be many renditions for the House of Lean but the version I personally like the most is the one that puts value delivery as the optimization goal on top, and a foundation based on lean-thinking leadership. For me this depicted succinctly what servant-leadership is all about: the organization’s goal is to deliver value to end users, and everything should be in service of that goal. At the base of this structure is leadership — a pedestal on which the healthy organization is built. Rather than leaders being at the top of the hierarchy, or even a column holding up the roof, they are a foundation, driven by principles which are all in service of everything above it. Principles such as humility, deep respect for others, and an unabating desire for continuous improvement. For a person to truly be a leader they must not see themselves as such — they must be driven with an intense desire to serve. Then they will be seen as leaders, not the other way around. This poem rekindled my need to wrap my head around servant-leadership. The spiritual undertones intrigued me but made me confused once again. What is this "wholeness and the mystery of life" that we serve? A Servant Leader does not serve particular individuals, teams, or organizations, but the system they are all part of. This servitude is in a form of dedication to the continuous improvement of the system, optimizing always to producing real value and dedicating time and effort to understanding the subtleties required to fine-tune its parts into harmony. With that comes humility as one’s eyes are opened to the myriad of parts, the elements, that, along with their complex interactions, comprise the system. Then you realize: the system is not something outside of you, but you yourself are engulfed in the system. We, each individually, must understand that in order to be part of the solution, we must first see ourselves as part of the problem; for we and the problem are intertwined. We must have humility in understanding that any one element in the system, especially including ourselves, has very little bearing and how the system as a whole works. To inflict real change, we must first unlock the secrets in the interactions between these elements. This is no easy feat. Interactions are complex and take time to change. As I personally realized this, a humbleness washed over me. I concluded that to be a servant of the system is to embrace the fact that I myself may not see the outcome of my actions directly. I must trust the system will move forward, whether I am still part of it, or not. To lead with that mindset is to respect the system, and continuously attempt to understand and mentor others to understand it, away from ego and the illusion that we individually have the power to be causal. In doing so, we fulfill our purpose to serve the system, and lead others to do so as well on their own different, yet interwoven, journeys. For now, I think I’ll take "servant leader" out of my resume. Let’s just say it’s a perpetual work in progress.